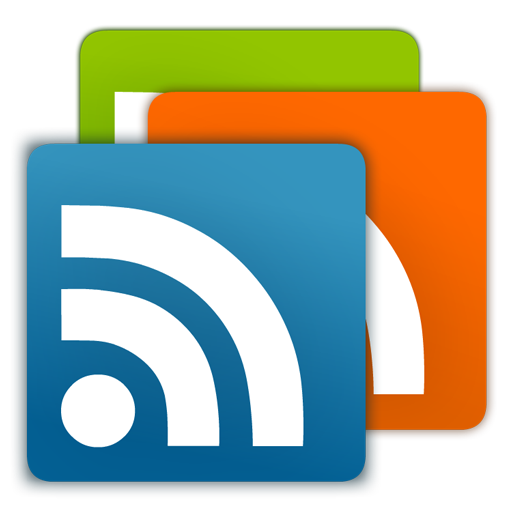 Android users have been able to rely on gReader to collect and manage their RSS feeds for years, but it appears that's over. 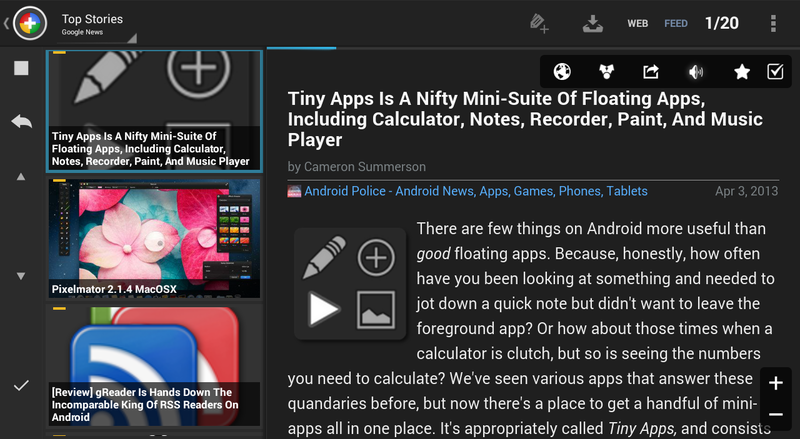 The app disappeared from the Play Store without warning yesterday. 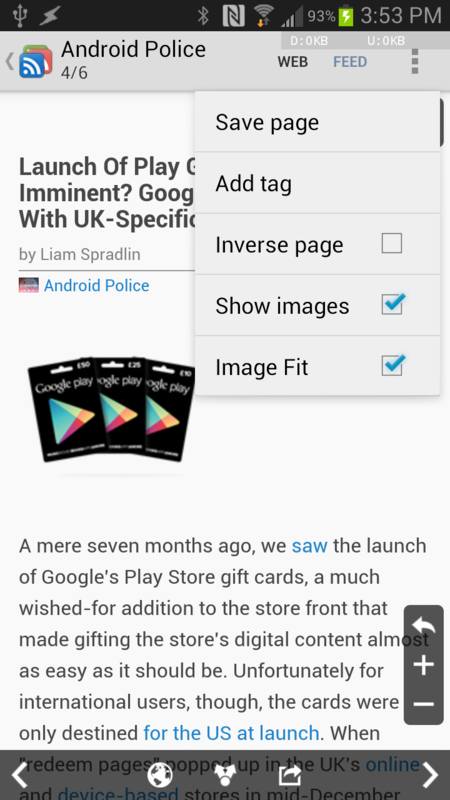 Going to the URL only produces an error now. We've reached out to the developer but have not gotten a response. 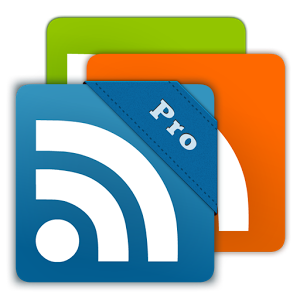 Since the fall of Google Reader and the rise of Feedly as its de facto replacement, gReader has risen to become one of the best options for RSS reading on the Play Store. 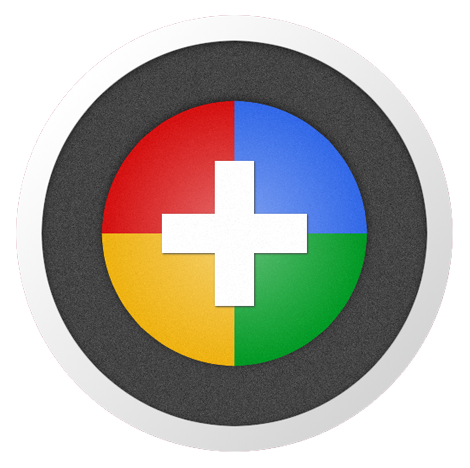 That said, it's been quite a while since the app was significantly updated, or updated at all: before today, the last time the app was touched was back in August of last year. But today's update bumps it up to version 4.3.0 and adds quite a bit of new content, notably tweaks to the user interface, settings menu, and a host of bug fixes. 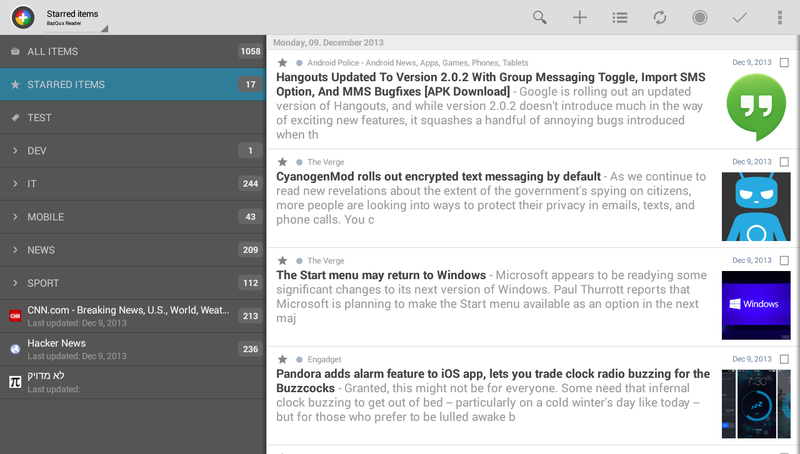 In a major update, gReader has given itself a brand new look in addition to support for Lollipop devices. 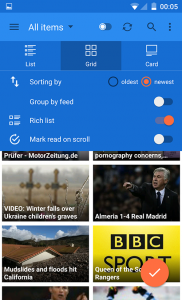 Unlike many recent app updates that have claimed to add Material Design, gReader is not exaggerating in their claim; it looks very good. And, true to form, gReader has preserved the ability to customize its look with themes, so you can still make it your own. 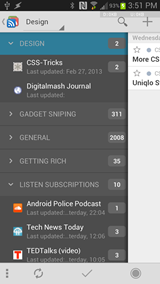 gReader’s 3.x versions already had a fairly modern look, so it wasn’t a great leap to conform to Material Design guidelines. Nonetheless, when comparing the new and old look, the redesign looks far better. 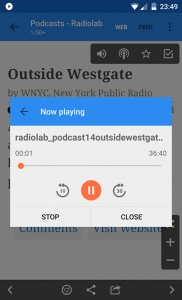 And while this cannot be adequately conveyed through pictures, the 4.0 update really nails the animations that make Material Design more than just a color palette. 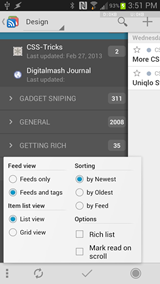 Even though Google Reader has long been dead, many of the tools that remained in its wake are still going strong, and the way that most users utilized the tool has gone largely unchanged. 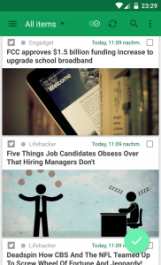 The conversion to Feedly was a rather smooth one in my opinion, and integration with some of my favorite apps, like gReader, has been flawless. 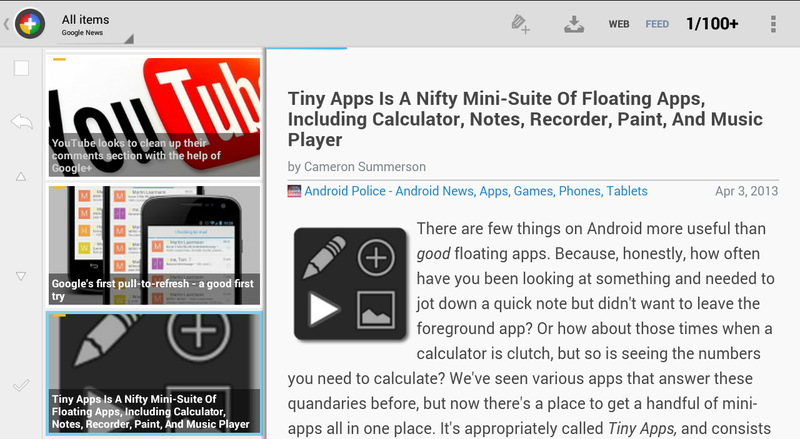 If you're already a gReader user, head into the Play Store to grab the update. 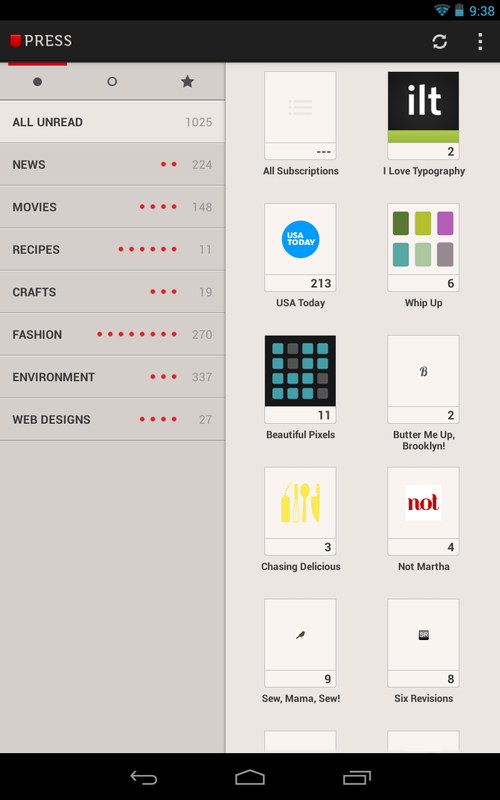 Text expansion saves time. It's really that simple. 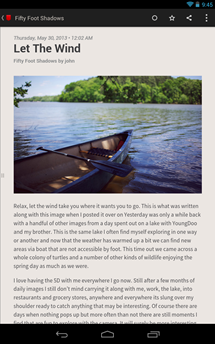 Rather than typing out a lengthy word over and over, like a regularly visited URL or an embarrassingly long middle name, save it as a text expansion so that pressing a few pre-determined characters will insert that word instead. Google's keyboard comes with this functionality available out of the box, as do some alternative third-party keyboards, but this requires commitment to one of these options. 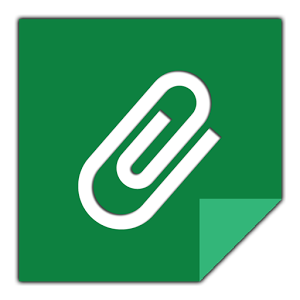 Anyone looking for the freedom to use a keyboard without the feature, or the ability to leap around between them, can now consider the EverClip clipboard manager. 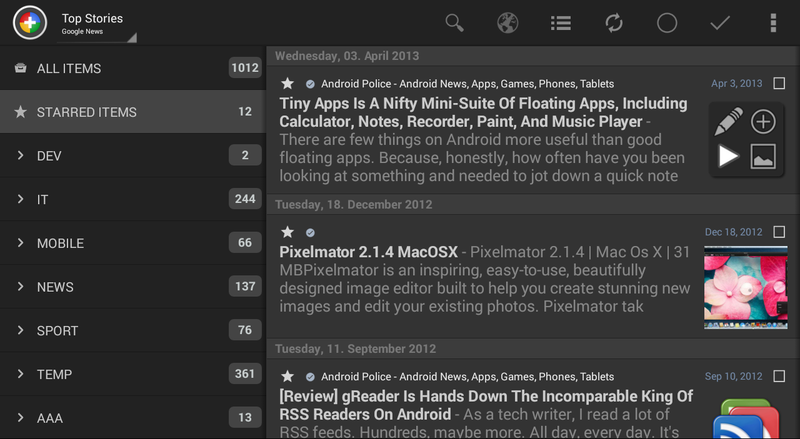 Development on News+ started over 6 months ago, around the same time gReader added support for Feedly. 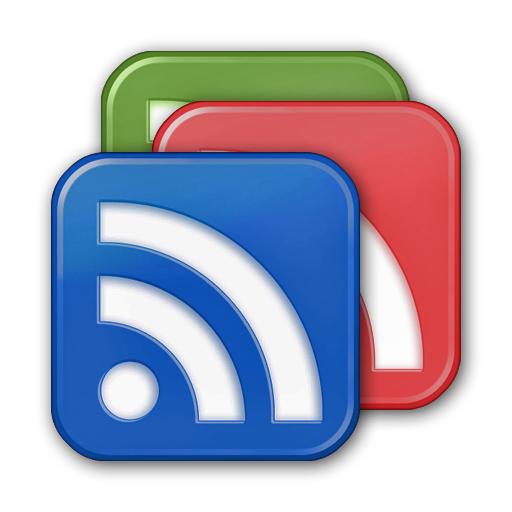 In exactly two weeks, the bell will toll for Google Reader, taking down the infrastructure for quite a few popular RSS reader clients with it. But a few are sticking it out, including the developer of popular Android Google Reader client gReader. 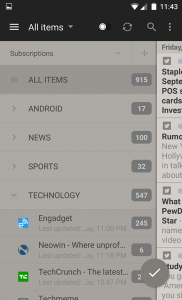 Noin Nion has decided to expand the basics of gReader into a new app, tentatively titled News+. 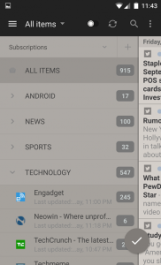 The new app will add support for extensions synced to external multiple external sources, including Feedly; gReader is one of the launch partners for Feedly's new alternative backend. 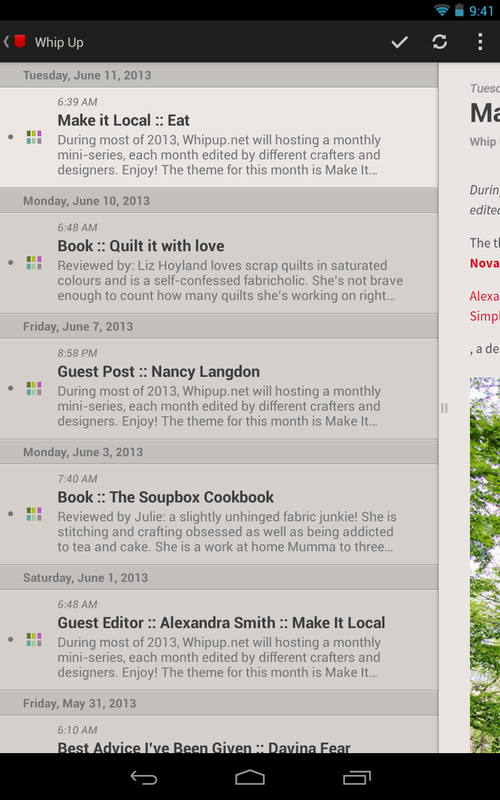 Screenshots taken by a gReader Google Groups user. 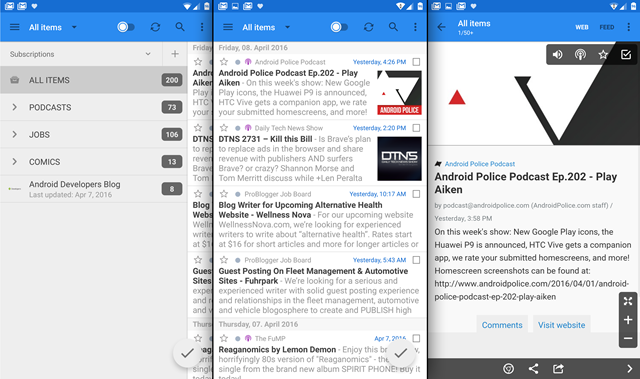 It's no secret that we're big fans of gReader here at AP, and the latest beta makes us love it even more, as it brings a complete UI overhaul to the application. 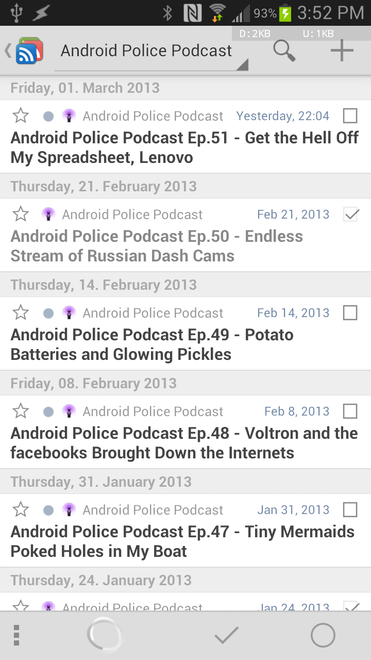 The dev has redesigned the app to follow the Android Design Guidelines, so it's all Holo-ed out. 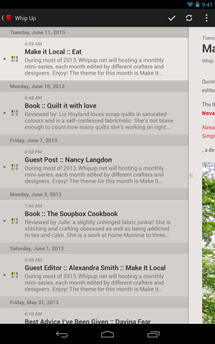 And it looks fantastic. 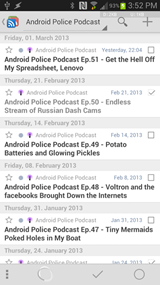 As you can see, the new interface ditches the dark-ish theme to go with Holo light, which looks great and feels faster and more fluid. 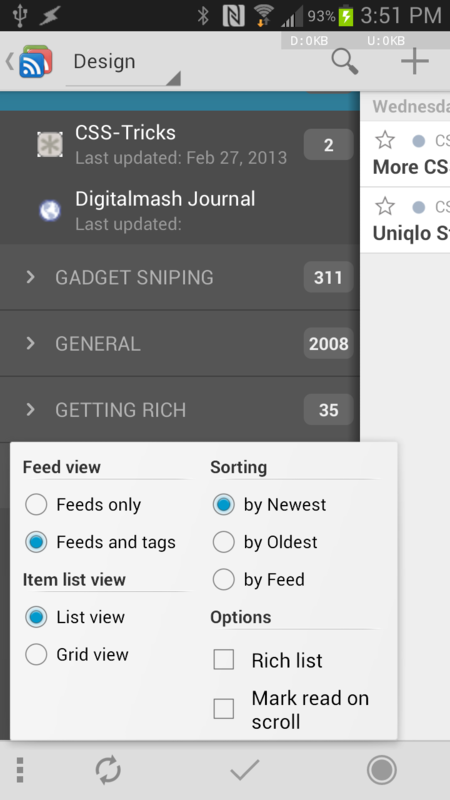 The overall layout of the app hasn't changed that much, with most buttons remaining in the same place as they were before.